Petitioner Telecom Watchdog has questioned the government’s move to provide 2G technology in agreement with Bharat Sanchar Nigam Ltd (BSNL) in these areas when it is providing 2G+4G in other areas and alleged that the same is only to benefit two private companies. The Supreme Court also allowed the petitioner’s plea to implead Arunachal Pradesh and Assam in the matter while also issuing a notice to BSNL. Telecom Watchdog had earlier challenged the government’s decision on providing “yester-year technology” in these areas but the high court refused to interfere in what it called the policy decision of the government. They then moved the apex court in appeal. Appearing for the petitioner, advocates Prashant Bhushan and Pranav Sachdeva prayed for quashing of the agreement dated 16.01.2018 signed between Department of Telecommunications (DoT) and BSNL mandating the use of an outdated technology, 2G, which is being purchased at huge cost of Rs 2,258 crore from two private companies with malafide intention. The petition relies on a report by DoT Secretary which clearly states that the Telecom Commission has taken decision to procure 2G+4G technology for the following two projects—2,173 towers in Meghalaya at a cost of Rs 3,911 crore and 4,072 towers in LWE areas at a cost of Rs 7,330 crore. 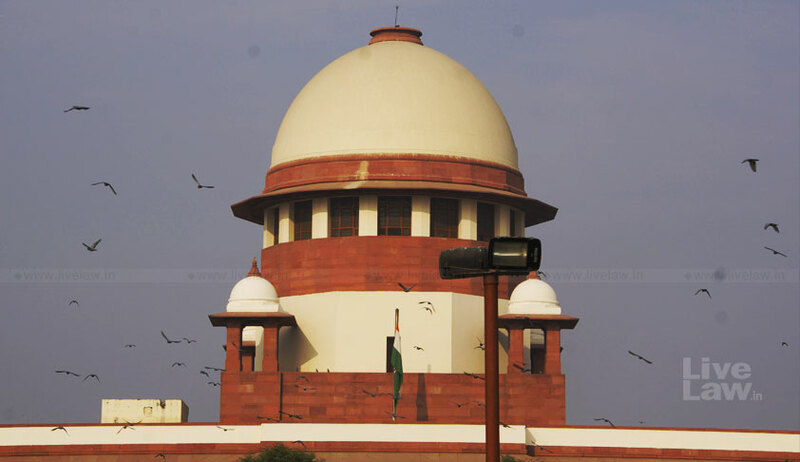 The petitioner said the discrimination between these regions and all other areas in the east “was aimed to apparently favour two private companies with mala fide intention, who had supplied outdated 2G technology earlier also and all the user States had complained about it and had sought 4G technology”. For this project, the Centre, through BSNL, is paying for the entire capital expenditure (capex) to such private companies and it is also paying them operational expenditure (opex) for five years. In addition, it is paying a 10 per cent commission to BSNL for the project. This, said the petition, is a complete wastage of precious resources and serves only the purpose of private companies who are dumping the outdated technology and also getting paid for operations for five years, at the cost of the exchequer. No purpose will be served for the local people for whose benefit the project is being installed. It is to be noted that the Telecom Commission, the highest decision-making body of the Centre, had on 21.12.2017 decided to procure 2G+4G for all future projects. The petition said all the 10 states of Left Wing Extremism (LWE) Areas where the similar 2G network was rolled out under LWE-Phase-1 during 2014 to 2016 had in a meeting with the Home Minister in May 2017 given negative feedback after which the government consulted IIT-Bombay which in turn recommended 2G+4G technology. Pursuant to this, all projects were in line with 2G+4G technology except the ones which form the subject matter of the petition. It also said that “As per the Indian Telegraphy Act, the Government is obliged to provide all types of telegraphy services at affordable rates to the rural and unconnected areas. For this, a separate Universal Service Obligation (USO) Fund is in operation since 2002, which as on 30.06.2018, has Rs 48,393 crore unspent amount, and which cannot be used for any other purposes”. “However, the High Court erred in terming this issue of deployment of 2G Technology as a policy matter of the government which it said was devoid of any interference in the absence of any arbitrariness, mala fide or violation of any statutory rules or regulations”.